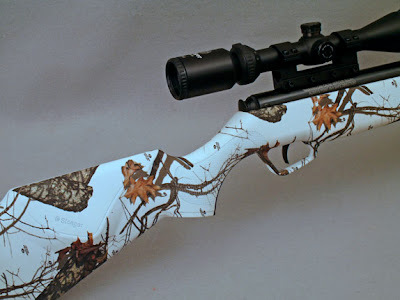 The new year has arrived and this is a great time to give your air rifle a whole new look! The new Camo Dip and More service from Archer Airguns allows you to give a totally unique appearance to your air rifle stock - no two are exactly alike. The pattern shown here is Mossy Oak (TM) Blaze Winter - a seasonal choice that's been applied to a Stoeger X20 black synthetic stock. What a difference!!!!!!! 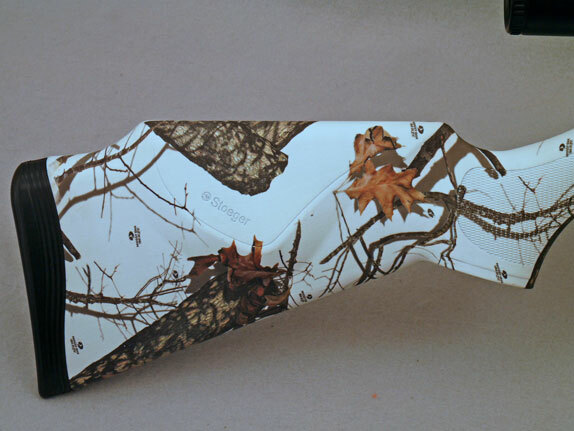 Maybe you would prefer your air rifle to have a camo pattern that blends in to the background when hunting. Or maybe your favorite airgun's stock is looking a little tired and would benefit from refreshing. 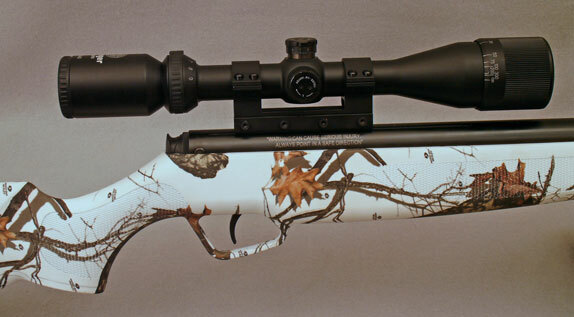 Perhaps the stock is a rather boring black synthetic - like that of the Stoeger X20 shown here - and you would like a change. Notice how our experts have carefully run the pattern right around the molded trigger guard that's integral with the stock. The buttpad was removed prior to the service, then reinstalled to give the sharp, black contrast effect. The Archer Airguns Camo Dip and More service is highly specialized. We just work with air rifle stocks using the process known as camo dipping or hydrographics. You can find this new service in our Archer Pellet Guns store. Start choosing a new look for your favorite air rifle stock!